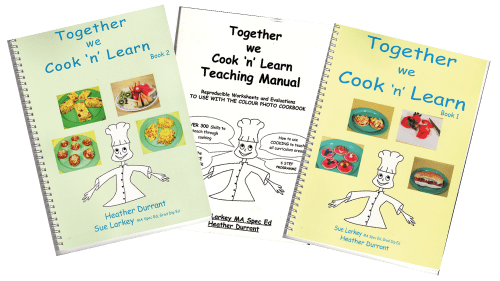 | by Heather Durrant & Sue Larkey | This Manual and Both Cook books have ready-made programmes linking curriculum and educational outcomes. These books are an ideal teaching programme for everyone. Cooking is a marvelous tool to teach everything from maths to social skills. Because cooking is a favourite with all children it's a wonderful teaching and learning activity appropriate for all ages and stages!